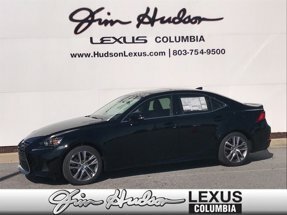 Description Contact Jim Hudson Lexus Columbia today for information on dozens of vehicles like this 2019 Lexus IS IS 300. This is the one. Just what you've been looking for. Beautiful color combination with 0223 exterior over EA25 interior making this the one to own! The look is unmistakably Lexus, the smooth contours and cutting-edge technology of this Lexus IS IS 300 will definitely turn heads. The Lexus IS IS 300 will provide you with everything you have always wanted in a car -- Quality, Reliability, and Character.